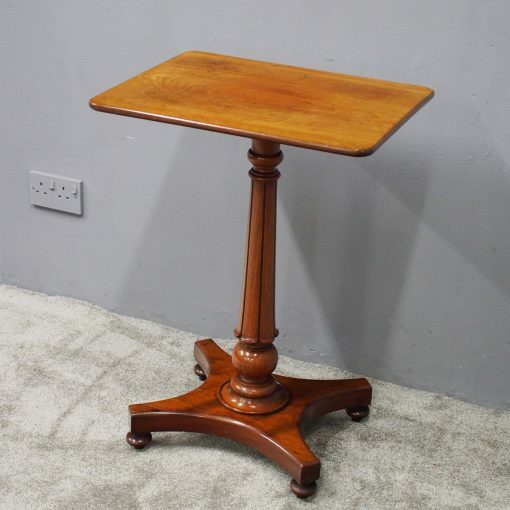 Circa 1820, Regency mahogany occasional table. 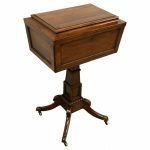 The rectangular top with a finely figured grain is over a foliate-carved, tapering and baluster stem. This is supported on a shaped platform over neat bun feet. Size 75 cm high x 53 cm wide x 42 cm deep.